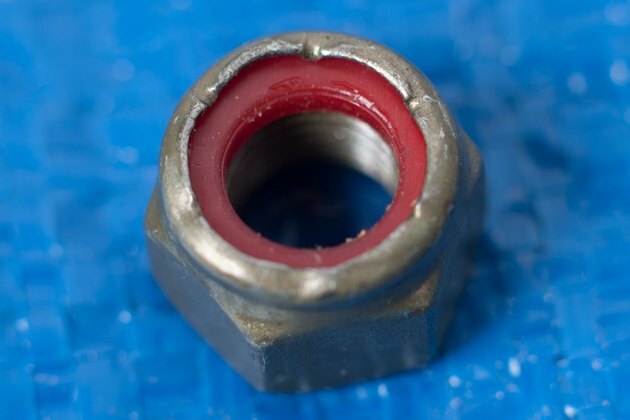 Nylon lock nuts differ from a standard hex nut in that they have a nylon insert secured within the nut. The nylon insert is located in a tapered section located at the back of the nut. When you install the nylon lock nut onto a bolt or threaded stud, the nylon insert wraps around the threads and locks the nut in place. 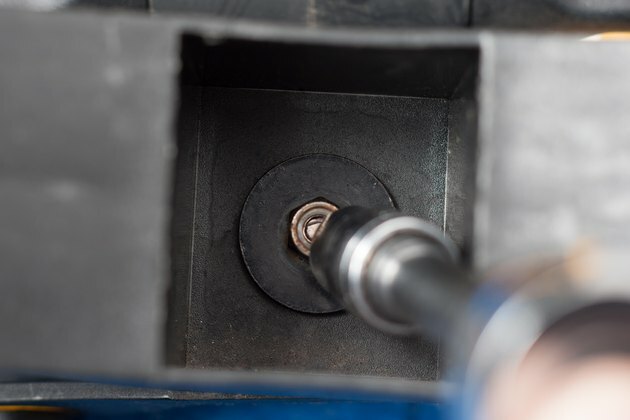 This gives a nylon lock nut a distinct advantage over a lock washer when the bolt or threaded stud is subject to vibration, as the nylon lock nut is unaffected by vibration. 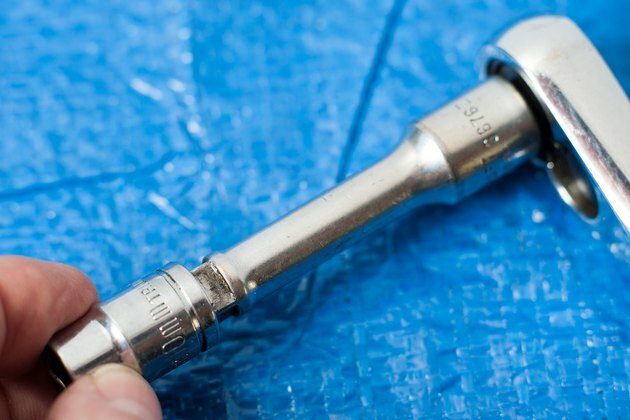 Examine the nylon insert of the nylon lock nut to ensure that the insert is not damaged. 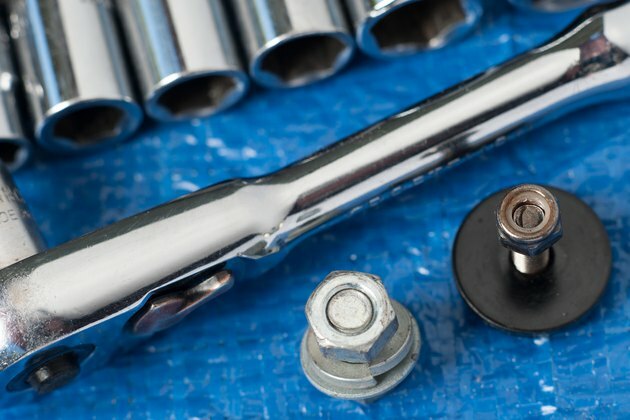 Thread the nylon lock nut onto the bolt or threaded stud and turn the nut clockwise with your hand until it no longer turns. This will be the point that the nylon insert contacts the top thread of the fastener. 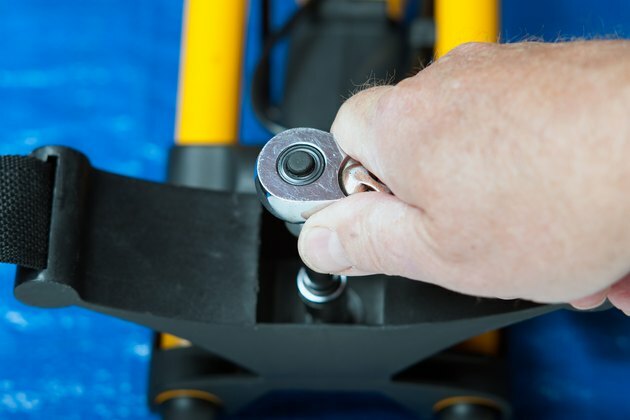 Place the socket that matches the nylon lock nut onto the 3/8-inch drive ratchet. Slide the socket onto the nylon lock nut and turn the handle of the ratchet clockwise to turn the nylon lock nut onto the fastener. 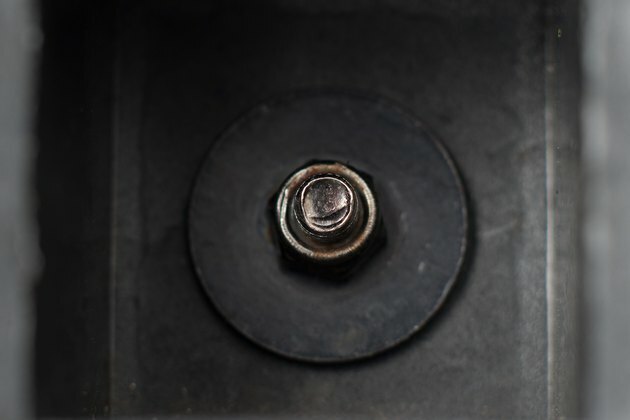 You will feel some resistance from the nylon lock nut as you turn it onto the fastener. This is created by the nylon insert and is completely normal. Continue turning the ratchet handle until the nylon lock nut seats tightly against the surface of the material you are securing with the nut. 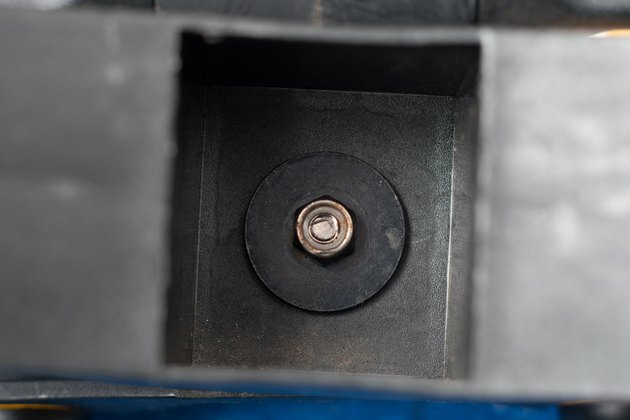 Inspect the nylon insert of the lock nut to ensure that it is intact after installation.